When I saw the call for papers for this workshop, I said, no, computers do not love us, and we don’t love computers, in particular when we’re looking from the viewpoint of information security. If we would love computers they would be much nore user-friendly, and so that’s why I’m talking about understanding why some network protocols are user-unfriendly. We can see that security products may be user-unfriendly for the average user, but what’s more surprising to see is that security products today are even user-unfriendly for system managers, and I will give some examples of that. 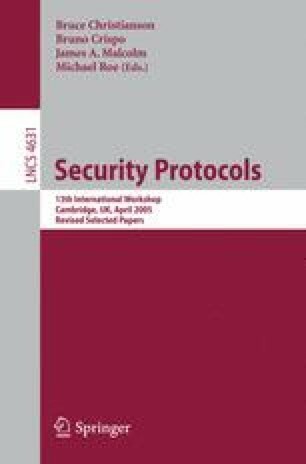 So what are the problems with security products? I claim that security experts also have problems with security products, and we heard this morning from Mark Lomas, who basically had similar feelings about that as myself. So, that’s a problem. I’m going to describe some problems, and then I’m going to describe what the possible technical reasons are that some of these problems pop up. And then we need to learn the lessons from that, and that’s how we’ll conclude.